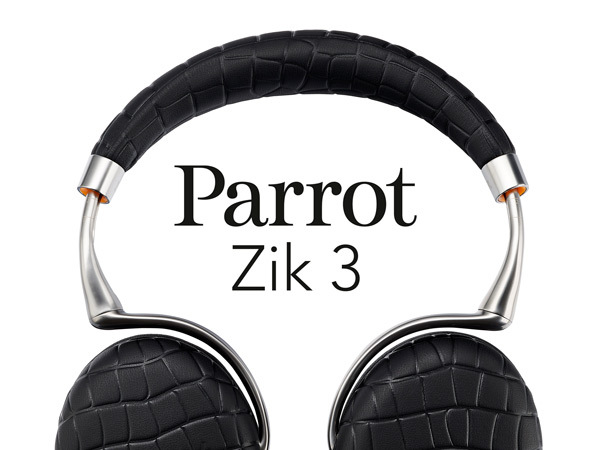 Parrot, famous for their high-end headphones, has updated their Zik line with the new Zik 3. Design-wise, the Zik 3 looks incredibly similar to the previous Zik headphones. Despite that first impression, there’s quite a lot of new features packed in the Parrot Zik 3. On the outside, the Zik 3 receives new texture and color options for consumers to choose from. You can check them all out here in Parrot’s site. One thing that you won’t notice at first glance is the enlarged headband for improved comfort and to fit the guys with big brains. It also has smart noise cancelling which changes depending on the environment you’re in. If streaming your music through Bluetooth not good enough for you, the Zik 3 can be plugged through a USB as a digital analog converter to provide great sound. Lastly, the Zik 3 is finally Qi-enabled, making it compatible with any Qi wireless charger to effortlessly charge the 830mAh battery inside. If you want to purchase Parrot’s Zik 3 headphones, it’s available for $400 and should be out in the market in a few days.